Very clean and private. Would highly recommend to anyone. Great Location, very safe and secure. Storage units are clean with a lot of space. Great customer service as well! Reasonably Price and a very simple process. They help me pick out the perfect size unit for our needs. Professional and would recommend their services. Chad , Heather , and Jerry are the nicest people and run a very efficient business Thanks so much for everything. I did an online search of storage units over the past weekend. I chose The Storage group due to the convenient online rental option and location. The follow up , with the receipt, terms, code and unit number, came promptly to my email with the option to print it out via pdf. Once i was able to visit my unit and store some of my items, I found the units clean and it was easy to access the gate. I had a question about another larger unit and the customer service was helpful and available over the weekend. This is the third time I’ve used the Storage Group in probably the last 4 years for the purpose of moving between homes. Great customer service. 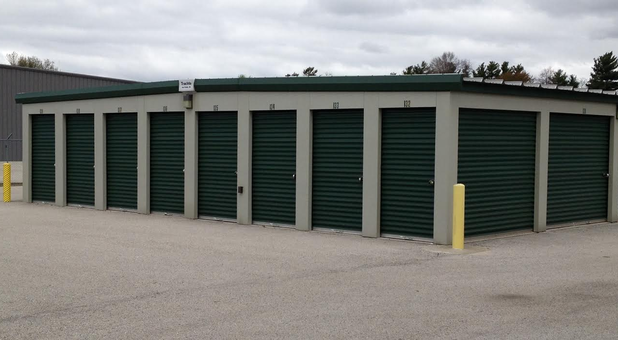 Storage units are well secured and maintained. Security gates to access units are user friendly. I love it it’s nice and clean the people were friendly they help me sign in online it was easy to find definitely better than some of the storage I’ve used in the past. I would definitely recommend this facility to a friend. The storage as shown me courteous service. They have great prices and the location is easily accessible. Thank you!! For the awesome customer service. Overall I was extremely satisfied with the rental. The staff were very helpful the few times that I needed to contact them and the units are well maintained. Very clean and well run. Friendly customer service and well as a many great locations! I love the one on Airline! In and out in no time with no issues. Great place! I needed to find a storage unit fast. I was able to get a unit at a good price and easy to access! So thankful! Very friendly service.. Price's are great too and the storage unit's are clean and with plenty of space. Thanks! Staff was very helpful, and unit worked out perfectly. I was totally satisfied, I just didn’t need it for now. Thank you! Thank you for a pleasant experience. The purchase of my first house did not go as planned and had to rent a storage unit at the last minute. Reserved storage unit online, arrived at the rental office and processed the required paperwork, storage unit was just the right size for all my stuff. (Had more stuff then I thought) Happy with service received and the storage unit was nice and clean. Would recommend to my family and friends.